Data Communications | Fancom Connects Ltd.
We separate the collective term data communications into three separate categories for ease of discussion based on the applications being used to present the data. Data used in voice applications is presented by phone, cell phone, and public address and intercom systems. Data used in video applications is presented as video conferencing, CCTV, telepresence, TV, flat screen monitors Data used with computer applications is presented as email, web-based applications such as Facebook, word documents, excel spreadsheets, data bases, SCADA controls, security applications such as access control and intrusion detection, BAS and literally countless other applications. Not so long ago, most communications were analogue or continuous-wave based. For purposes of data discussions here we focus only on digital communications. Increasingly, all applications are moving to a digital format. A good example of this is phone technology. At one point it was exclusively analogue and is now moving rapidly towards a digital platform as VoIP, Voice over Internet Protocol. The beauty of data as a common currency for use in several different applications is that it now requires only one cabling infrastructure for all systems, whereas previously, a separate cabling system was required for each application, i.e. telephony through a copper wired PBX or video through a co-ax cable system. Data transmission can be highly flexible as to its application as previously discussed. Data cabling is also capable of carrying vast quantities of data in an extraordinarily short span of time. 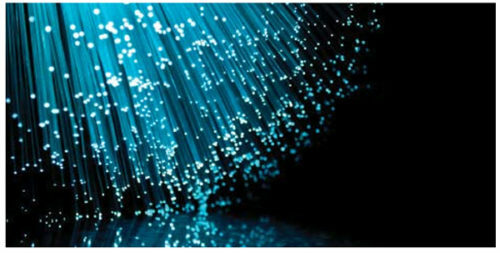 Fibre optic cabling has the capacity of carrying and transporting vast libraries of static or motion pictures in the tiniest fraction of a second. To put this into perspective, common household voltage runs at 60 cycles per second. A common download speed over fibre optic cabling currently is 1Gbps, or 1 gigabyte per second, the equivalent of one billion pieces of information per second and has a demonstrated speed that is even one million times faster than this – unbelievable a short few years ago, but this is reality today. This enormous increase in frequency of data transmission requires some special consideration. A Registered Communications Distribution Designer (RCDD) is the professional of choice when designing data communications systems. The RCDD designation is your assurance that the data communications system for your business is well-designed, specified for maximum performance and installed professionally according to manufacturer’s best practices.